In case this is useful to you…let me know! You don’t even need to step on the ground to realize how good for sailing this country is. While landing on the plane (in Split), you are already surrounded by amazing islands “floating” on deep blue water. Getting excited exponentially. June 20th, Dalmatian Islands, Croatia. 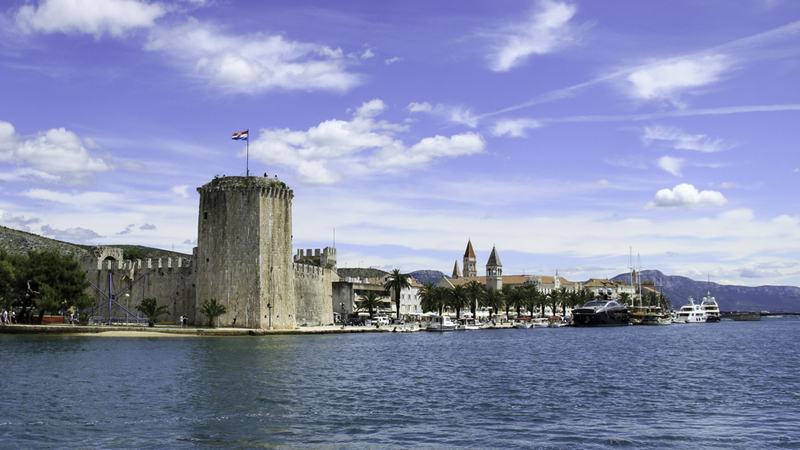 With 120.000 squared km and 2.000.000 inhabitants, Split, Zadar, Dubrovnik and Šibenik are the main cites of Dalmatia. 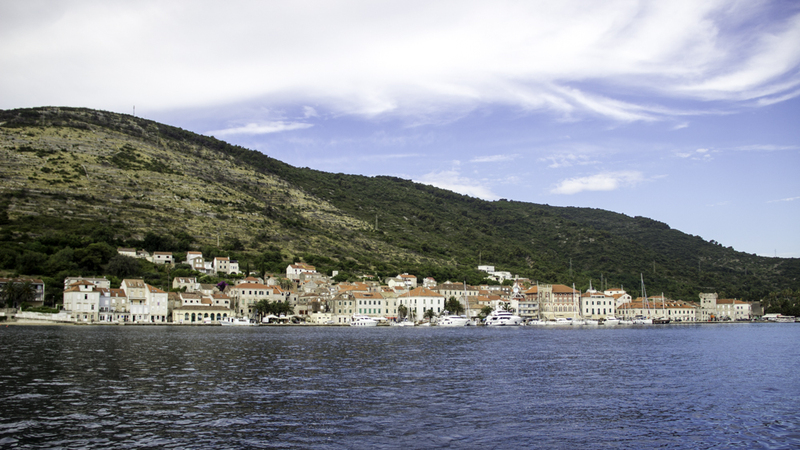 This area of Croatia had been conquered many times, so you an imagine the rich historical heritage it has. A part of that, the crystal clear waters, the mild mediterranean climate and the friendly Adriatic Sea, makes this part of Croatia a perfect sailing destination (from my point view, of course). But let’s see why you should meet those islands at some point of your sailor’s life. With an extension of 800 x 200 km, the Adriatic’s shores are populated by more than 3.5 million people with relatively large cities like Bari, Venice, Trieste or Split. The max temp raises up to 28ºC and goes down until 9ºC on winter. The predominant winter winds are the Bora (Northerly), wich brings cold and dry air (gusts up to 90 kt) from the Dinaric alps and The Sirocco (Southerly) wich brings warm and humid air, ofetnly carrying sand causing dust rain. Due to it’s relatively narrow width, the sea stays calm and “friendly” most of the time (wich doesn’t mean, it never gets rough). And let me say that the crystal clear waters you’ll find here are some you would not easily find else where in the world. As soon as you step on the ground of any, you do feel that heritage. For more than 2000 years, the adriatic have been shared for more than 6 countries, used as a trading habitat, a war zone…so one can imagine how many stories happened in this area. It’s stone based architecture, the military buildings (bunkers, maritime hangars…). A lot to see on the ground. A synonym of crystal clear waters, almost no buildings and calm mood. I have personally visit 3 of them, Krka, Kornati and Mljet. The first one, Krka National Park, is about to sail way up the river until Skradin, where another boat will bring you until the entrance. Once there, you can do a trekking in between the trees on a wooden-build trails, or simply have a bath at the fresh and clean water falling down the waterfalls. The Kornati National Park, famous worldwide for its rounded islands without trees and its deep blue waters, is just an experience to sail. The colours and contrasts depending on the sunlight are astonishing. Here we found a great mooring (you are not allowed to drop the anchor here) where we spent the night while waiting the wind to blow down. Finally, Mljet National Park. 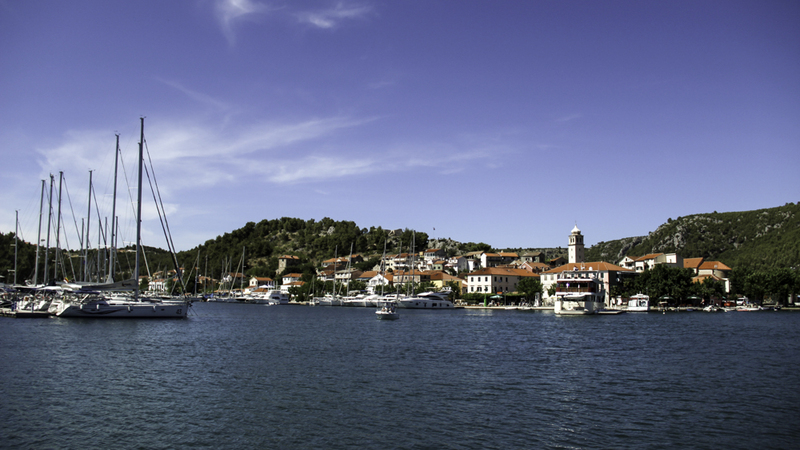 At the W part of Mljet Island, this park even have a salty lake with a monastery on a tinny island. Spend an entire day here while cycling, swimming or simply having a meal or a drink. At some point while the summer season, it can be flooded of tourists, but avoiding July an August, it should be better. Even though the 80 % of the beaches we saw were rocky ones, there still one kind for everyone. 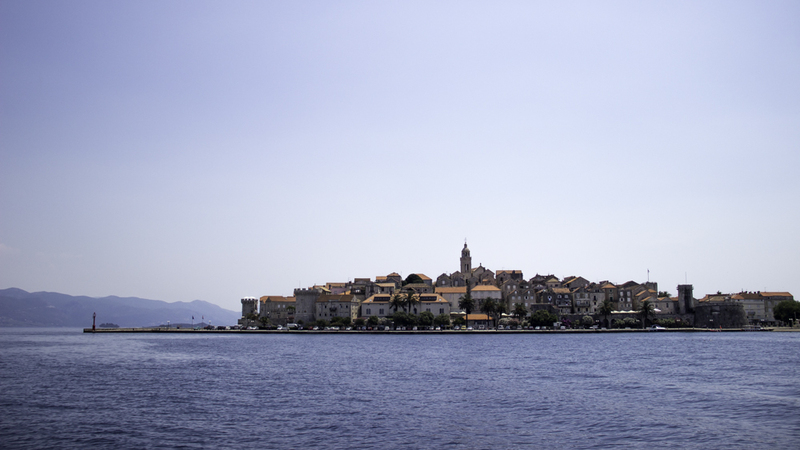 In Dalmatia there are almost 1300 islands (big ones and tinny ones), so you can imagine how many kinds you could find. About the caves, we visited the Green Cave, also in Vis Island (the farthest from the shore). A good place for cliff jumping and snorkeling. You can get into the cave with an small dinghy easily. The other famous cave is the Blue one, in where you have to pay to get in by a boat from (the goverment? )…we avoided getting in…no one likes to pay for a thing like that. You have never been on a place like that before, really. Once you step into those walls, it feels like something teleports you somewhere in the past…yes, ok, until you see all those A/C heat exchangers hanging from the walls, and the armies of tourists buying souvenirs and taking pictures. But, you can mentally “photoshop” all that…don’t you? No need to say anything else. Just have a look at those ones…by the way, If you have the chance, try the Croatian Icecream…Delicious. Split: In game of thrones, it’s another important city…guess wich one? Yes, I am huge fan of Sunsets at Sea (like 99% of the people, I guess), and the Croatian ones challenge the ones I have seen in Ibiza. Not kidding. It’s a huge part of the experience. P.S: I would like to thanks the company which rent us the boat, Sailing Europe, which was very professional during the whole trip, from the beginning till the end, as well as Top Sailing Charter, the company who lead us to Sailing Europe.